Ralph Hancock was son of Sardius and Mary Jane Hancock of The Pastures, Tan House Lane and husband of Ada Dorothy Hancock of 18 Church Road, Malvern. His father was a well-known temperance advocate in Malvern Link. He joined the Royal West Surrey Regt as a cyclist and after serving for some months was given a commission in the Worcestershire Regiment. He was in the fighting at the Somme. In July 1916 received wounds in the face and had his leg broken and was invalided home. When he recovered he went to a camp in Yorkshire for a time and went to France recently. 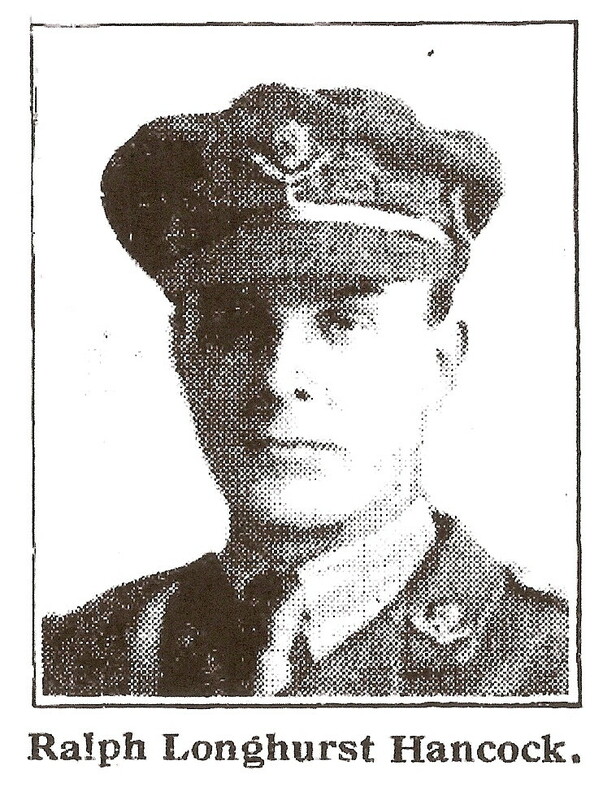 He was killed in action 27th August 1917. He was married and left a child. One of his brothers, Wilfred, was reported missing in the Somme fighting and a third served at Salonika. Before joining, Hancock was a reporter on the staff of the Worcester Echo. He had a genial character and was popular with his comrades. A memorial service was held for him at Bromyard Road Wesleyan Chapel, Worcester.